HD filmed in low-def with the Dumptycam. 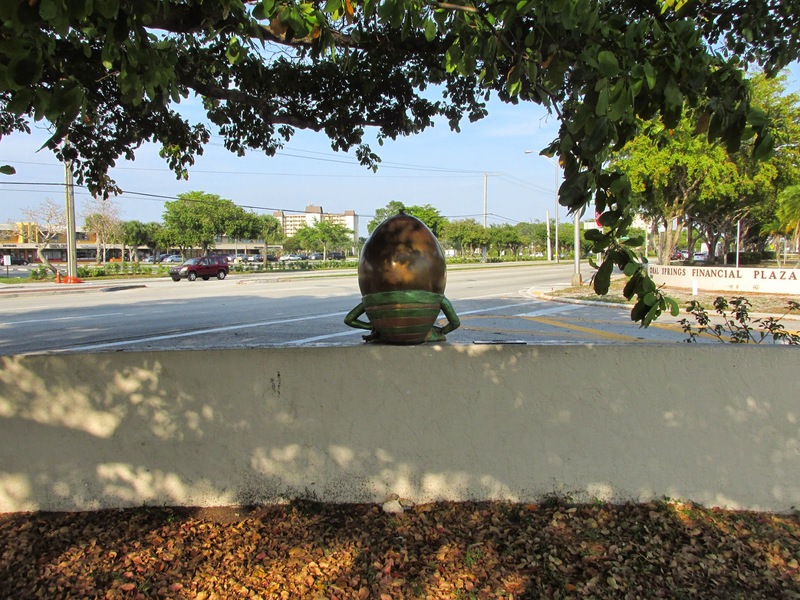 When Eccentric Roadside moved its world headquarters to Coral Springs, Florida back in July of 2014, little did we know that our new home town was also the locale of a truly magnificent, some might say eggs-taordinary, work of eccentric roadside art. 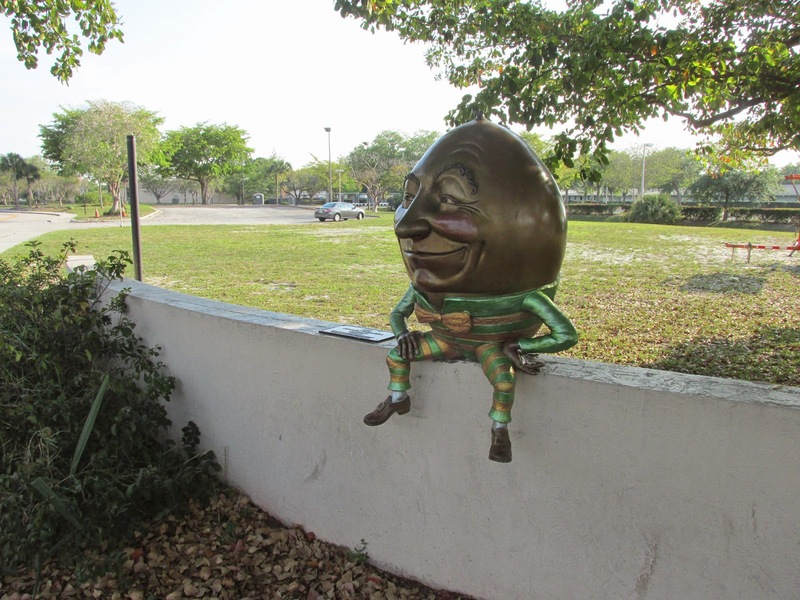 On the busy corner of Sample Road and Northwest 94th Avenue, tucked in among the South Florida suburban office buildings, strip malls and condominium complexes, sits a delightful deviation: a bronze depiction of that famous children's rhyme workplace hazard victim: Humpty Dumpty. 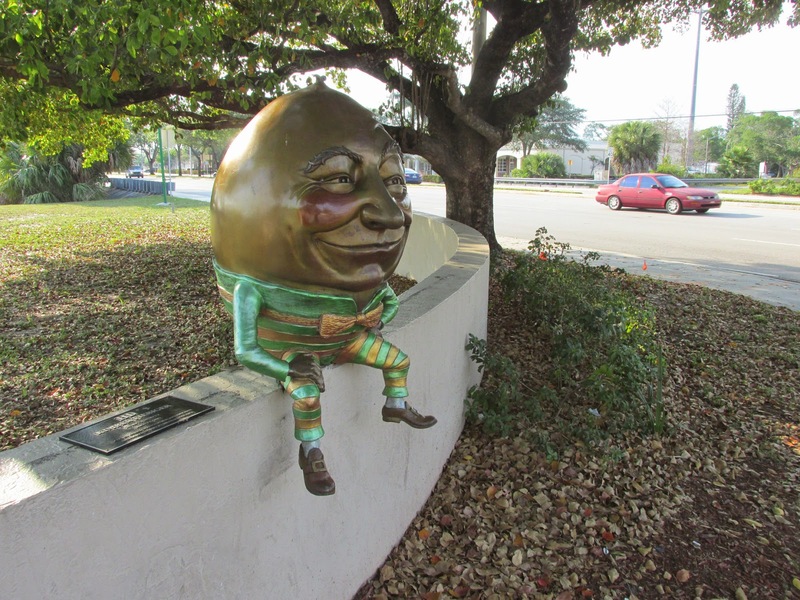 Nattily attired in bow tie and striped trousers and sporting a hey-look-at-me grin, he sits on a 3-foot tall concrete wall in his pre-fall stance. 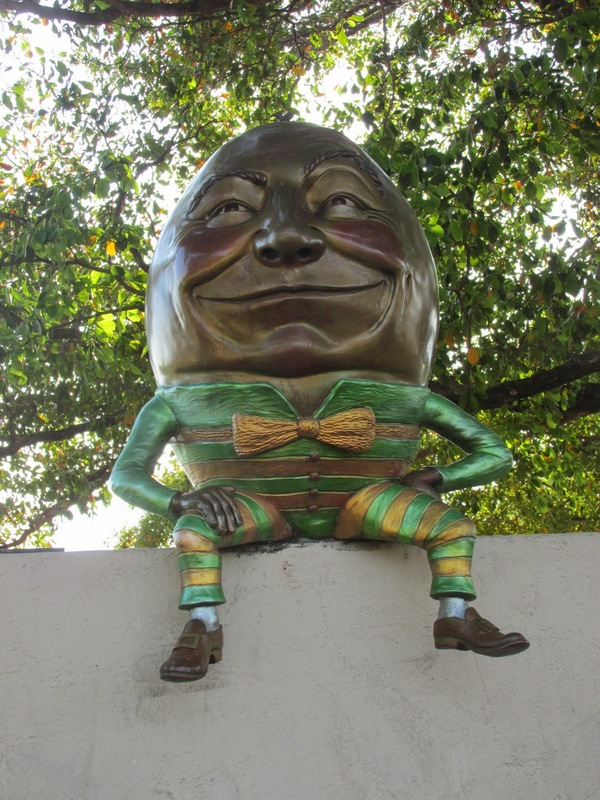 He's the work of famed Minneapolis sculptor Kimber Fiebiger, who has depicted Mr. Dumpty in many of her works. 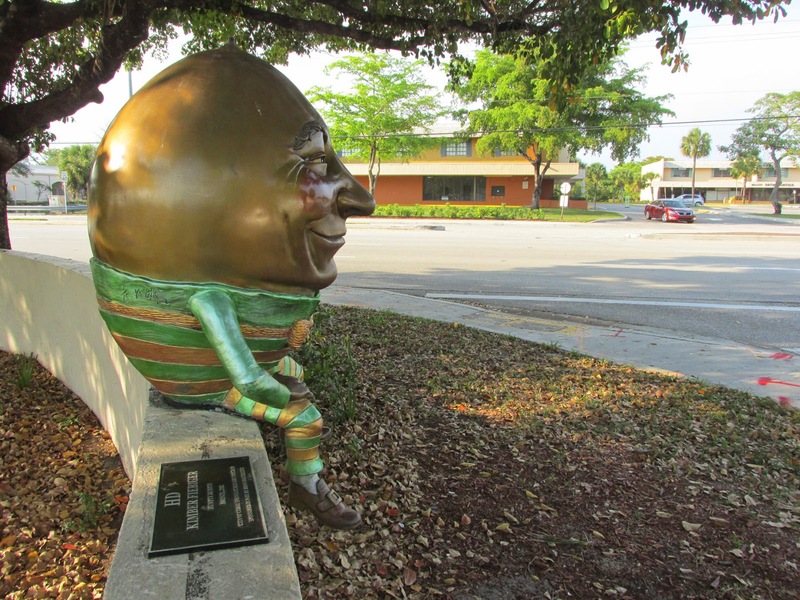 The city of Coral Springs has lots of other sculptures along Sample Road, part of a beautification project from a few years back, but we like this one the best. How can you not smile back when you see this guy grinning at you? 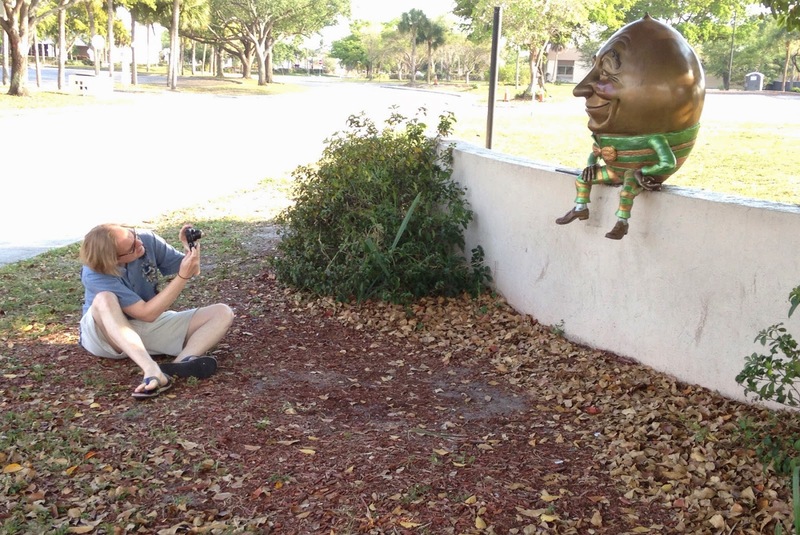 He cracks us up every time, and that no yolk.